Facebook apps now use a new app-scoped ID that is unique to your app instead of using the global Facebook User ID — makes sense because it’s more secure for the user. But What About Previous Connections with v1 IDs? No matter what version they originally used to sign up for your app, the ID will remain the same for people who have already logged into your app. This change is backwards-compatible for anyone who has logged into your app at any point in the past. -Excerpt from the Facebook Platform Upgrade Guide. Great! However, there’s one caveat: Even though the ID number remains the same, the Identifier field format has evolved and is now different. If you map your users via the Facebook Identifier (like we do), this inconsistency can mess up your mappings. Once we ran a simple update query to change all http://www.facebook.com/profile.php?id=xxxxxxxxxxx to the new https://www.facebook.com/xxxxxxxxxxx, our mappings were restored, and the Facebook API v2 logins work as expected. 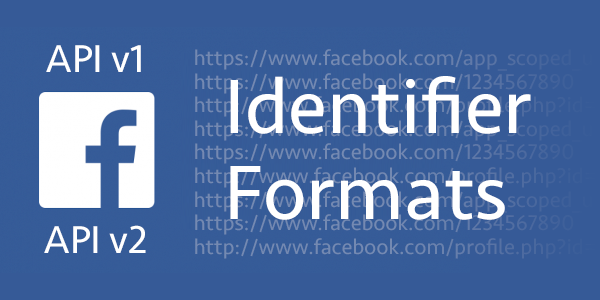 We continued to have issues with the Facebook API returning inconsistent Identifier formats, so we switched our mappings to use the Scope ID instead of the Facebook Identifier.